Diabeter Netherlands: The Diabetes Clinic of the Future | Life, Sport and Diabetes - An everyday look at my life with type 1 diabetes. Today we visited the world renowned Diabeter diabetes clinic, the head office for which is located in Rotterdam in the Netherlands. The group of private clinics specialise specifically in diabetes, with the majority of patients with type 1 diabetes and some with MODY and type 2. The clinic was the location for where we would get set-up with the Medtronic diabetes Guardian Connect system. But whilst it had diabetes specialist nurses and doctors on hand to help us, the clinic was nothing like I'd ever seen or experienced before. Located in the architectural hub of Rotterdam next to the newly built Market place, you first enter the clinic out of the lift, opening into what I could only describe as a very friendly, bright and welcoming home. The reception desk is open and decorated with diabetes inspired art, a theme that flows throughout the floor. Comfy, colourful stools and chairs are arranged around what's actually the waiting room for patients. But with the incredible views over the square in Rotterdam, you could happily sit there all day with a cup of coffee! Every consultation room has been carefully considered and thought out, with round tables, bright paintings and open space to make the environment more friendly for the patient. There are a number of doctors, nurses, psychologist and a dietitian available to see, all in one place. There's even a diabetes shop, where patients can (in agreement with their health insurance provider) to buy the diabetes supplies that they'd like, from pumps to blood glucose monitors. They have glass roomed very open feeling offices further into the building. But before you get to them, there is a 'cloudcare' space, that specialises in cloud based data and analysis. With such software programs built by Diabeter, that patients can upload information to, the Dr can see it, but the computer software analyses the information and translates it into real-world diabetes advice. There's also a 'groundspace' where old fashioned technologies like telephone calls and emails are answered, because if that's how you choose to contact the clinic outside of consultations, you can. Another option is to Skype with your diabetes specialist if you have a question or need information. The technology doesn't end there however, the clinic has its own Facebook group and films Facebook live sessions with the diabetes specialists on the topics chosen by the young people in the diabetes clinic. They are even in the process of creating an app, which will hold data and help educate patients on how to recognise and discuss trends in diabetes data. It's clear from the moment that you step foot into Diabeter that the diabetes team are passionate and driven to provide the best patient-centred care possible. Even going to the lengths of enabling new staff to try living with diabetes for a week by wearing pumps (without insulin) and using glucose monitors. 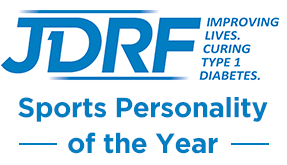 They also have an annual review course on the psychological impact of diabetes on patients. It was an absolute honour and a privilege to observe clinic at Diabeter today and I hope they continue to share the incredible and innovative work that they are delivering to people with diabetes in the Netherlands for a long time to come!